Welcome to a look back at a week in which not a lot happened in TV-land apart from the conclusion of two gripping murder mystery dramas. But we start with the latest Channel 4 observational documentary, as the cameras return to The Fried Chicken Shop. Rooster's Spot in Clapham was originally the destination for a one-off film earlier in the year, but the programme proved so popular that Channel 4 returned to film a three part series. The series was filmed over a three week period and shines a spotlight on both the employees of the shop and some of their most frequent customers. Episode one mainly focused on Imran and Harris, both of whom had come to work at the shop just after arriving in the UK from Pakistan. 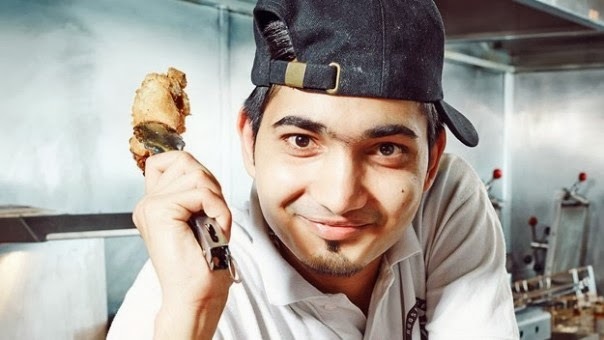 Imran is working at the shop part-time while he completes a business management course; meanwhile Harris has aspirations of opening his own Italian restaurant. Harris' ambitions are later explained when we meet the object of his affections - Italian waitress Fabiola whom he wants to marry even though he hasn't quite got round to telling her. Though Imran is slightly annoyed by Harris' cheeky behaviour the two get on well and run a tight ship, or as tight as ship as you can run when you're handing out chicken and chips to the population of Clapham. The patrons of the shop tend to be quite young, which means we're often eavesdropping on conversations about pulling birds, finding love or getting drunk. The more memorable characters from this first episode were definitely the older crowd who came in for a bite to eat at some point. Italian busker Marco ended the programme on a high note, as he talked about his experiences in London and serenaded the shop with a performance of 'Always Look on the Bright Side of Life'. However, it was transvestite Jesse who stole this first episode as we heard of his love of wearing bright colours and how he started to put on the dresses that his girlfriends refused to wear. The highlight of this episode was definitely Jesse putting down a much younger girl over the drab colours of her outfits, a comment that provoked the girl and her boyfriend to leave the shop. I personally would've like to have seen more from Jesse and less of the endless parade of interchangeable college girls and lads on the pull. Anybody who reads this column on a regular basis knows that I'm a big fan of Channel 4's fly-on-the-wall documentaries. From The Hotel to 24 Hours in A&E; I find that these shows all give us an insight into modern Britain and provided some incredibly emotional stories. Unfortunately the same cannot be said for The Fried Chicken Shop which seemed incredibly anecdotal when compared to the channel's other offerings. While it worked as a one-off special, The Fried Chicken Shop just doesn't have the content to warrant a three episode run. Part of the reason for this is due to the fact that there isn't one big character who the majority of the action is devoted to. Imran and Harris were pleasant enough chaps but they really weren't larger-than-life characters in the same way as Mark from The Hotel or Mr Mitchell from Educating Yorkshire. The other issue is that people don't spend that much time in fast food restaurants as they do in hospitals or schools, therefore we aren't able to follow the stories of many of the shop's customers. In a way I felt that this was a good thing as these younger customers didn't have anything interesting to say and in the most part I found their conversations to be fairly juvenile. While there's no denying that The Fried Chicken Shop was well made, I found that it had very little to say it for itself. The programme really dragged at points and I really didn't make much of a connection with any of the customers. It does really feel like the producers have returned to Rooster's simply because the earlier programme did so well in the ratings. However, I feel returning for a full series was a mistake and in a way spoilt the great impression that that first programme made. 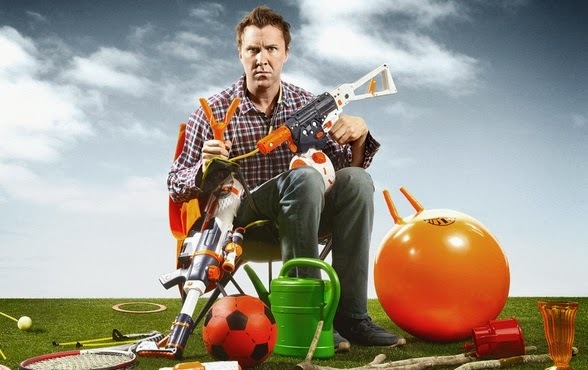 Someone else failing to make a good impression at all was Jason Byrne, who brought his successful radio comedy Father Figure to BBC1 this week. It appeared as if the BBC had little confidence in the sitcom from the get-go as it was broadcast in the post 10 o'clock news death slot. Sitcoms previously scheduled in this slot include the horrid Citizen Khan and Ben Elton's recently atrocity The Wright Way. To be fair to Father Figure, it was slightly better than both of those shows as it did have an innate likeability to it which was mainly due to the cast. At the same time though it had plenty of problems including one-note characters, a predictable script and gags you could see coming a mile-off. The story of the first episode saw Tom Whyte (Byrne) cooking a dinner for his neighbours to apologise for covering them in baked beans while they were trying to sunbathe. Then followed a well-worn script where the juvenile central character attempted to cook while fending off the interference from his family members. His mother (Pauline McLynn) tried to take over with the cooking while his friend Roddy (Michael Smiley) steals a giant cake from a hotel lobby. Meanwhile Tom's children are incredibly annoying and his wife Elaine (Karen Taylor) is presented as a serious alcoholic. The episode climaxed with a scene which saw the neighbours being hit by the cake and covered in chocolate mousse while Tom's mother punched him in the face with a roast chicken. If any of these situations are putting a smile on your face then you probably would've enjoyed Father Figure more than I did. The show was yet another addition to the list of poor sitcoms that have been produced in 2013 and to me Father Figure feels incredibly dated. As I said the majority of the cast are incredibly likeable, particularly Pauline McLynn whose gift for physical comedy is put to good use here. But ultimately Father Figure feels doomed to fail and after watching the show I felt like Tom's neighbours - incredibly embarrassed and ever so slightly dirty. We end by looking at the conclusion of two dramas, both of which solved the central mystery at the heart of their story. In ITV's The Guilty we were waiting to see who it was that had murdered young Callum Reid back in the summer of 2008. The first half of the episode was devoted to DCI Maggie Brand (Tamsin Greig) attempting to find out if ultra-religious handyman Tom Rose (Christopher Fulford) had indeed committed the murder he'd confessed to. As the previous investigation had made a number of mistakes, Maggie was clear she didn't want to arrest the wrong man and felt that Rose was innocent. But, after he went round to the Reids to beg his forgiveness, Maggie had no choice but to listen to her superiors and charge Rose with Callum's murder. In actuality Maggie felt that it was Callum's father Daniel (Darren Boyd) who was the most likely suspect, especially considering as one of his properties was sold shortly before Callum's body was moved. After Rose had died in prison, it was finally revealed that Daniel had found Callum's body and moved it himself as he believed his son Luke had murdered his half-brother Callum. In fact Callum had suffocated himself with Luke's dressing gown belt, as he was attempting to emulate a trick he saw some older boys do. As Daniel learnt that Luke had no part in Callum's murder, he handed himself in and Maggie's reputation was cleared once again. I personally felt that revelations in The Guilty were unexpected and well played, as the whole conspiracy was based around a father's need to protect the only son he had left. The whole drama was well-played with Greig and Boyd both being on top form in this final episode while Katherine Kelly also gave a great accounting of herself as Daniel's grief-stricken wife Claire. But my main problem with The Guilty was that I really never connected with any of the characters which ultimately meant that the final reveal didn't really provoke any strong emotions in me. So overall I felt it was an interesting way to end a series but one that really didn't affect me in the way it probably should have done. The same can't be said for the final revelation in the BBC drama What Remains as Melissa Young's killer finally came forward. But before we learnt the ultimate truth, a lot of the other mysteries were revealed. One of the show's biggest kept secrets was why young Liz Fletcher (Denise Gough) was staying with her teacher Joe Sellers (David Bamber). This week delved further into their relationship as we saw Liz repay Joe's hospitality with a very uncomfortable sexual encounter. Liz's background was finally revealed by Len, who was introduced to Liz through Vidya, as he found out that she'd left her stepfather for dead. At the same time Joe, who'd found about Liz and Michael, went berserk at school and beat up one of his troublesome students. Joe confessed to Melissa's murder, an act he didn't commit, in order to protect Liz as he believed she was the one who finished off Melissa. Joe, like the rest of the neighbours, knew more than he was letting on, as in actuality he'd already found Melissa's body but had just left her to rot rather than tell anybody about it. However, after both of their arrests, neither Joe nor Liz was proved to be the killer even if both were guilty of something. 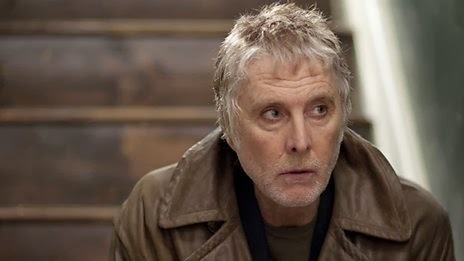 That revelation came later when Len (David Threlfall) had moved into Melissa's old flat and accidentally entered the house of Elaine and Peggy (Indira Varma and Victoria Hamilton), to find the latter dead in the bathtub. It was then revealed that Peggy choked Melissa to death after she attempted to tell Elaine that Peggy was moving out. Peggy's murder of Melissa was what was keeping them together and was ultimately what drove Peggy to suicide. I personally wasn't a massive fan of these final scenes and thought they were a bit overblown. While I didn't mind the twist, I felt the pacing of the episode left a lot to be desired and this final revelation came out of nowhere. At the same time I can't fault What Remains for providing four hours of gripping drama that was both well-written and well-acted. Tony Basgallop's drama will definitely stay with me for months to come, I just wish I'd felt a little bit more satisfied by the ending.